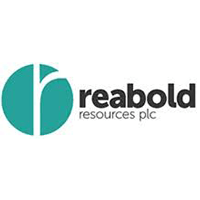 Reabold Resources Plc (LON: RBD) has today announced that, further to its announcement of 28 January 2019, the VG-4 well at the West Brentwood field, in which Reabold has a 50 per cent. equity interest, has been put onto production, at an initially constrained rate, by the contract operator of the field, Integrity Management Solutions. The significant volume of gas produced, in addition to the oil, during the VG-4 test, has meant that the well cannot be produced at its full rate until a tie-in to a nearby gas pipeline has been completed. The decision was taken to put VG-4 onto production at a choked back rate, reducing gas production to an acceptable level, in advance of the completion of such a tie-in. VG-4 is currently producing in a range of 150-250 barrels of oil per day on a gross basis. The Company expects the oil rate to produce at significantly higher levels once the gas constraint has been removed, from which point Reabold will also benefit from sales revenues associated with the produced gas. Click RBD for the full archive.